This will be the best hour you’ll spend in front of a screen this week, I promise. Tony Seba explains how the plunging costs of battery storage and solar power generation, coupled with the rise of electric vehicles and autonomous driving technologies are going to first disrupt and then transform both the transport and power industries worldwide, and very, very soon. Watch this, and then ask yourself why this isn’t being reflected in the policy discussion in this NZ election. Why are we not encouraging rooftop solar? Why are we still building motorways? Drilling for oil? The timeline on this stuff falls within the lifetime of the next parliament! 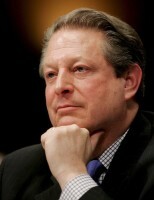 Al Gore has written an impressive long article in Rolling Stone magazine. I read it with gratitude and wanted to recommend it to others. It’s a highly readable text packed with rich detail which reflects the wide spectrum across which Gore operates and the considerable intelligence which informs his thinking. It deserves wide readership. The cost of solar electricity has decreased by an average 20 percent per year since 2010. Gore sees an ongoing decline in cost to the point where by 2020 more than 80 percent of 0the world’s people will live in regions where solar will be competitive with electricity from other sources. This is already the case in at least 79 of the world’s countries. Domestic solar PV: practical for NZ? Many NZ consumers will be wondering if solar power for the home is a practical option. In simple terms despite New Zealand having mostly renewable energy our power costs to the home have continued to climb in the past few years despite low inflation. In real terms power costs have pretty much doubled for me in the last 4 years and some of that is due to changing power use but most of it comes from cost increases made by the lines companies and the electricity retailers. Author JasonKPosted on January 6, 2013 January 6, 2013 Categories Climate business, Climate politics, environment and ecologyTags NZ, photovoltaics, solar power, Tiwai Point Smelter35 Comments on Domestic solar PV: practical for NZ? Bad Behavior has blocked 3012 access attempts in the last 7 days.